Happy Wednesday! This morning’s Bikram class was really great. I had the teacher that turns the fans on during class so the room is a bit cooler, and it is much easier to give it your all in the postures when you aren’t focused on being so hot. Sometimes I feel like it’s “cheating” to do Bikram when it’s a little cooler, but I’m okay with it if it means I actually push myself. I had this outfit picked out for a day last week and then never wore it. It’s been hanging in my closet ever since so I decided to just put it on. 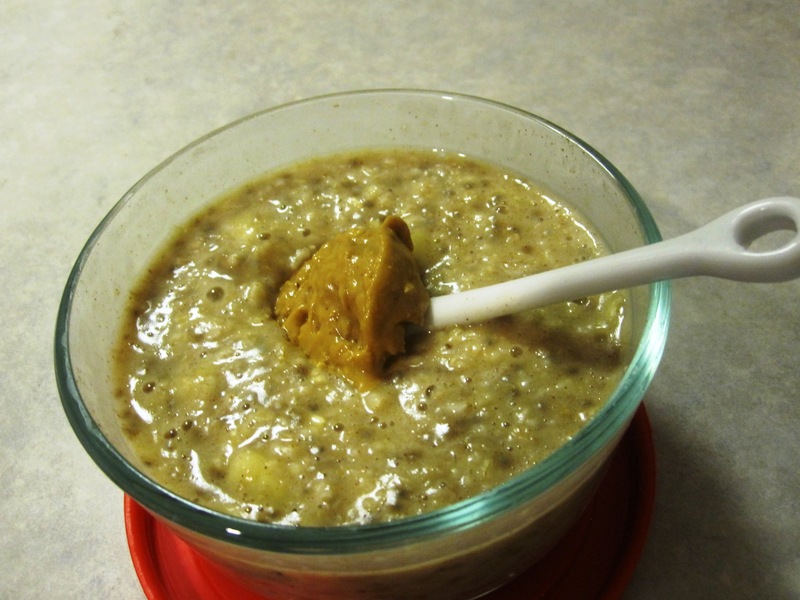 Hot oats today made with vanilla protein powder, cinnamon, and chia seeds. Half a banana was whipped in and then TJ’s Valencia PB on top. Perfection. Along with my oats I tried a new product: Teeccino. I received a sample of their Vanilla Nut tee-bag in the mail yesterday (no idea how you guys found me, but thanks!) and was instantly intrigued by the caffeine-free coffee alternative. Since giving up caffeine in January, I’ve been sticking to hot lemon water in the morning. 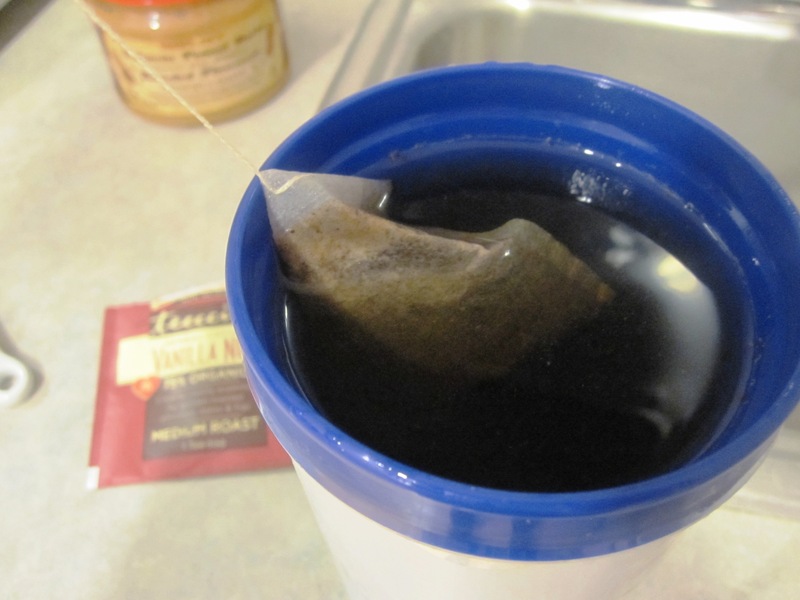 Tea sometimes makes my stomach hurt and I only take the time to make decaf coffee occasionally. I’m excited to use my coupons to try out some new flavors like Mocha, Chocolate Mint, and the original that has citrus notes. I hope I can find it at a store here! I don’t know if I’ll drink it every day because sometimes the lightness of hot lemon water is really appealing to me in the morning, but it definitely a great alternative when I’m craving something a little more hearty. I haven’t tried Teeccino tea, however, I have tried their coffee. I really like the fun flavors they offer but I think that it gives me an upset tummy. I attribute the issue to the chicory in the coffee which is used as a coffee substitute. One of the side-effects is upset stomach…grr..I think tummy troubles are the worst and try to avoid at all costs! Gee, I wonder if you can wear anything that doesn’t make you look cute?? I dont think it is possible! My co-worker gave me some Teechino but I was too spooked to try it! 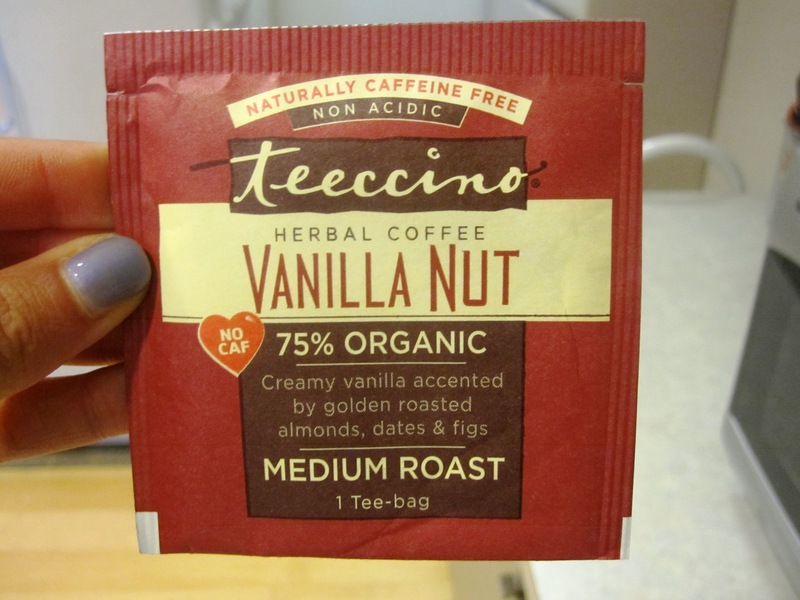 The Teechino sounds interesting but inulin does NOT agree with my stomach! I know I have said this before, but, CUTEST OUTFIT EVER! Everything just goes great together and the jacket adds a kind of badass (‘scuse me!) 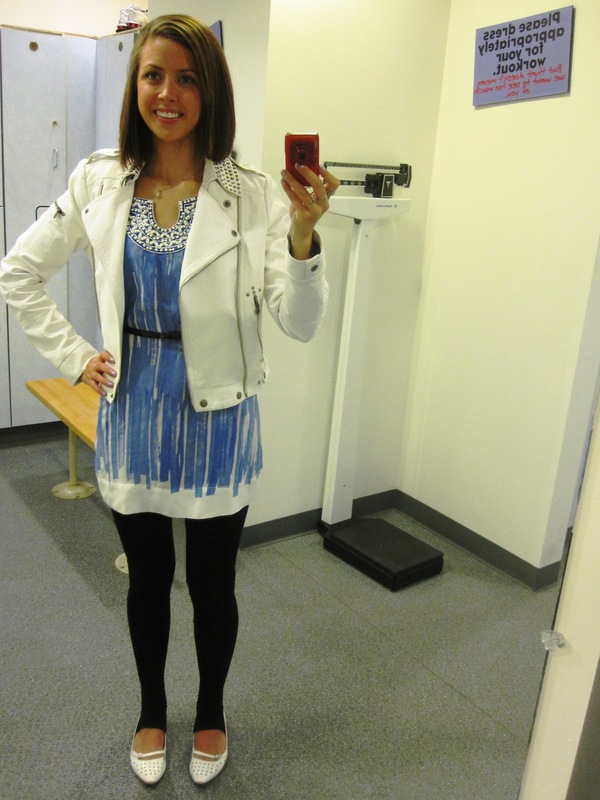 look to the feminine dress and leggings.